Australia has the longest continuous living culture on Earth – our Aboriginal people. So, when I write about the “birth” of Australia I am only looking at the date of the creation of a Federation of Australia. This is the birth date of modern Australia which we may use to read Australia’s “character” and destiny. The most commonly used date is the day that Australia became a Federation. It is 1 January, 1901 at 1.35PM in Centennial Park, Sydney, Australia. I am not interested in doing a thorough analysis. Just a simple look at Leadership of the Country will suffice. This is found in the Mid Heaven point. 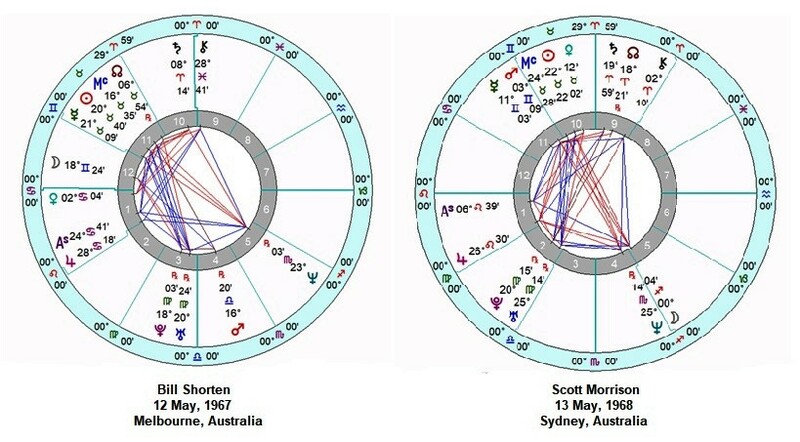 So, my thinking is if Australia’s chart’s transits for Election day shows CHANGE or STABILITY it will indicate whether there will be a change of Leadership ie from LNP to ALP. I’m just playing with some astrological ideas. 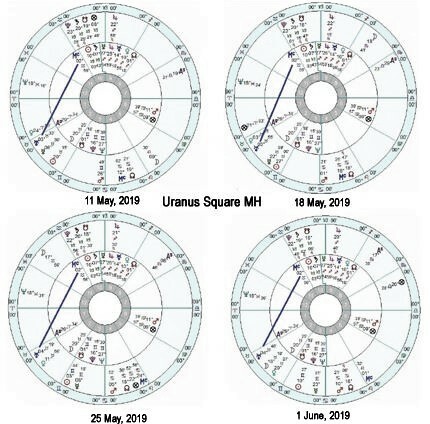 From 13 April 2019 to 1 June 2019, Transiting Uranus is Square (90 degrees) Australia’s Natal Mid Heaven (Mc). It is strongest around 30 April 2019. However, since Uranus moves relatively slowly its effects can be felt for much longer time. 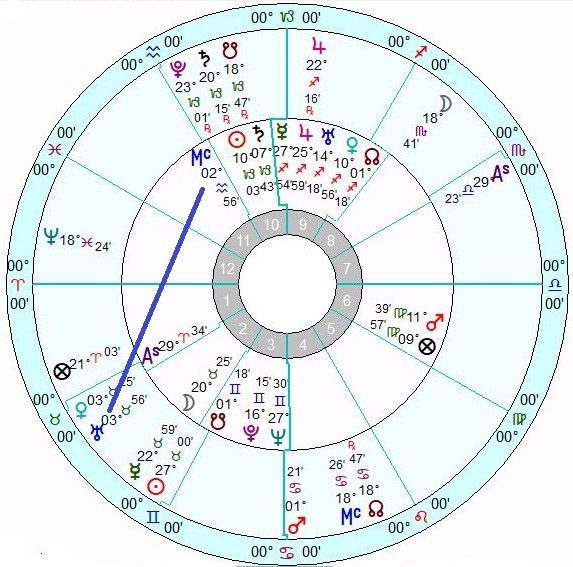 The charts above show the positions of planets on the possible dates of the Australian Election. 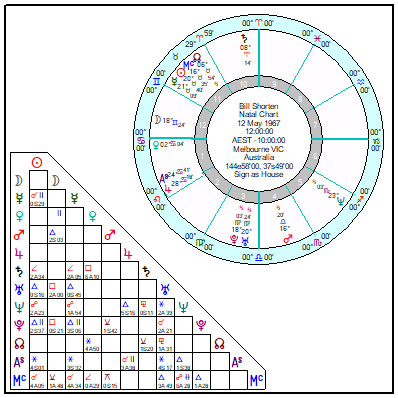 The outer wheels are the transits, the planets’ position on the various dates. The inner wheel is Australia’s chart. The dark line shows the approximate 90 degree angle between Uranus and Australia’s Mid Heaven (Mc). You will note that there is not much difference in the position of Uranus over the 4 dates. This is because Uranus moves relatively slowly taking 84 Earth years to complete a cycle around the Sun. This transit can be quite unsettling for Australia on two fronts: Australia’s community and Government. Both of these may have a direct influence on one another. With respect to Government and Leadership we can expect changes to occur here. 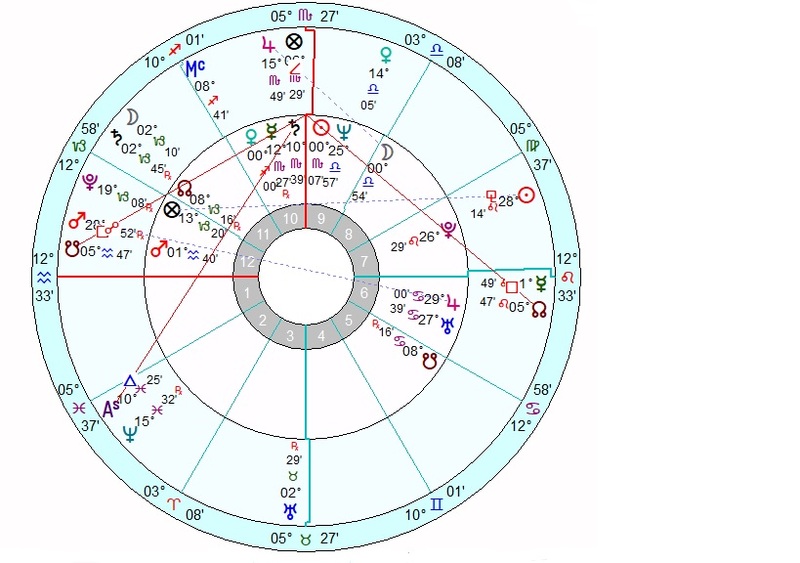 Uranus making a square (90 degrees) angle to Australia’s Mid Heaven point clearly shows disruption through restructuring of Government because of a change in Leadership. It looks like Australia is dissatisfied with the conservative LNP government. There is a feeling of restlessness and people are seeking a new outlook. It looks like change is in the air. I am learning quite a few lessons in playing with Political Astrology. One thing I’ve learnt is not to be stuck on particular issues and events because these change quickly. Rather than looking at the external events of the moment I have to look at the emotional “ambience” of the politician over a period of time. When we look at our weather apps we find probabilities for rain and general descriptions of overall weather for day and week. It gets harder to forecast weather over a week in the future. 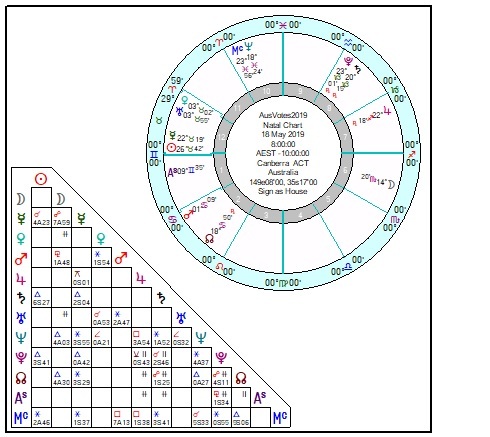 So, instead of giving specific particular events highlighted by the passing planetary angles to the person’s chart (Transits) maybe it would be better to give probabilities of metaphoric “rainy” and “sunny” days/weeks/period. It just happens that the last post on Turnbull’s August days had indications which showed a very “rainy” period ahead. In fact the transits showed a hurricane rather than just a storm. And events proved that right. Things have been very heavy for Turnbull especially with the dual citizenship crap.